After a very strong 2018 for our portfolio company Sophia Genetics, in which they achieved many technical and commercial firsts, we are happy to announce our participation in their latest $77M funding round, led by Generation IM and supported by IdInvest. As we noted in our original investment memo a little over a year ago, Sophia is one of the most exciting companies in genomic software in the world today. When we first invested in the company, it predominantly operated in Europe and was used by around 300 hospitals with a focus on oncology solutions. Today, Sophia works with more than 850 hospitals in 77 countries and has been used by 300,000 patients. They have opened their second HQ in Boston, and have expanded the product to include radiomic data and tertiary analysis of genomic sequences. This has been achieved while building one of the strongest technical teams in the world, contributing to countless lives saved from more accurate and earlier diagnosis of disease. 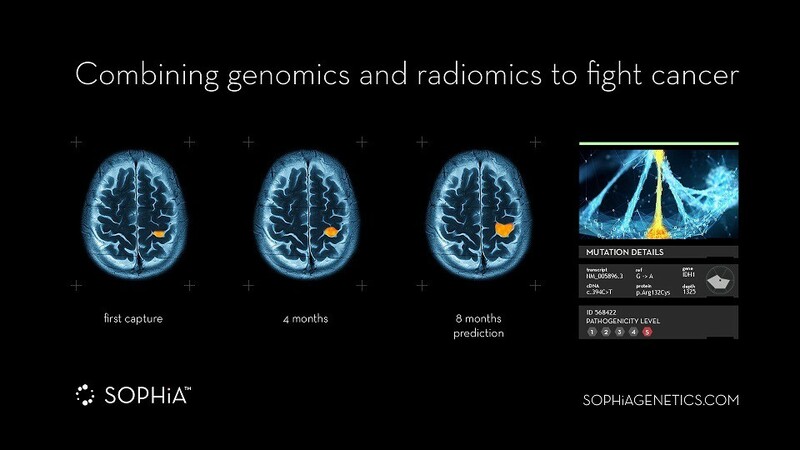 When we first invested, we were excited by Sophia’s ability to use the latest techniques in machine learning to improve the detection of anomalies in an emerging data set — the genome. Sophia has since become a leader in this field. In the last year, it has also started to showcase what the future of ‘machine learning as a service ‘ companies might look like, as they evolve from a tool to a data-driven platform, adding new services such as radiomics and clinical trial solutions. Moving from a service to a platform has been a successful strategy for many software companies. It can be even more impactful when companies have machine learning at their core. Much as Google’s search solution is improved by its maps and email products, Sophia is now able to understand connections and correlations across many data sets that prior tools, and human research, hasn’t been able to unravel previously. Sophia is one of a handful of investments in health tech that we have made here at Balderton. We have seen many new companies replicate existing health care practices by ‘adding software’, providing them online or in an app. While such improvements mean you don’t need to go to a GP office or to the gym in person, we believe the actual improvement in health outcomes from these types of companies is incremental. These services mostly deal with new ways for demand to access health care, whereas the real challenge is in supplying high quality and affordable health care for everyone. We’re excited about Sophia and its future because it doesn’t just replicate what came before it. Instead, it marks a radical shift in the way medicine can be practiced. By rethinking health care in a data-driven way, Sophia has given bioinformaticians abilities that would have been beyond their technical reach 10 years ago, and unaffordable for most people just 5 years ago. We like software that gives experts super-human powers. Sophia is doing just that for many 1000s of clinicians across the world. Sophia’s goal, of course, is not just to raise capital. This milestone is merely a recognition of what they have achieved so far, and a belief from us and other investors that they can continue to develop world leading software that improves lives. We look forward to celebrating the millionth and ten millionth patient on the platform, as Jurgi and the team continue to build what could be one of Europe’s most important software companies. For more on our investment strategy at Balderton or Sophia Genetics, you can follow us both on twitter @balderton and @sophiagenetics.